Last week at the San Francisco Flower and Garden Show I had the pleasure of meeting Baylor Chapman of Lila B. 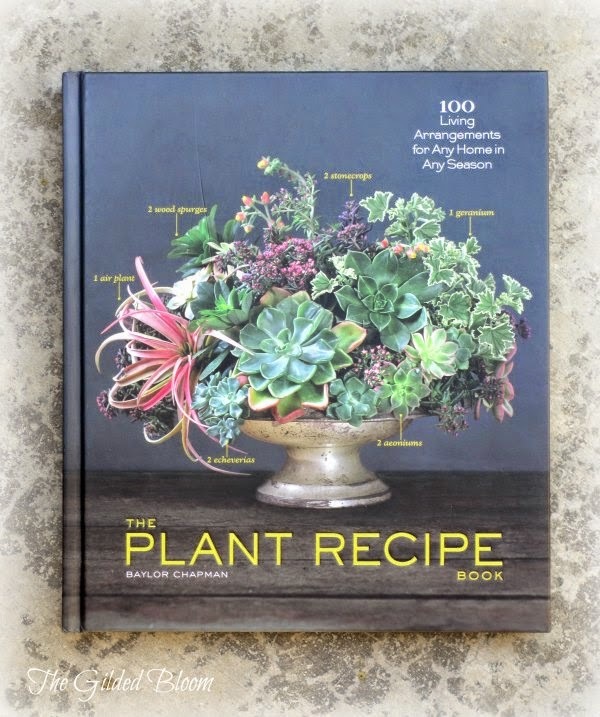 Design and author of The Plant Recipe Book. After attending her presentation about creating living centerpieces, she generously shared a copy of the book with me. I returned home inspired and anxious to start reading. As I anticipated, it was filled with even more inventive ideas for artful arrangements! The Plant Recipe Book is organized very much like a cookbook, with a short introduction, some discussion of materials and planting techniques, and a pictorial table of ingredients to be used in the forthcoming plant recipes. 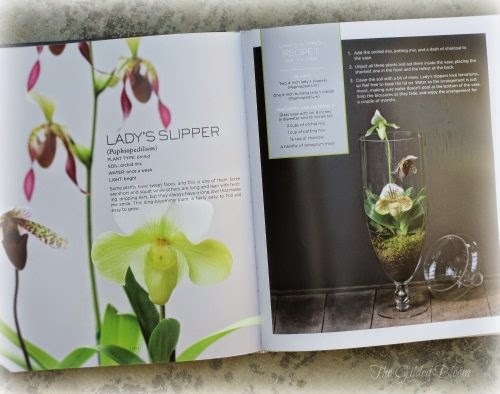 Designed to showcase specific plants or plant combinations, the 100 arrangements are clearly explained with step-by-step instructions. Each plant recipe is also accompanied by stunning photographs of the ingredients, process and finished product. The emphasis Chapman places on a distinct fusion of plant materials and the use of creative containers gives her designs a refreshing and recognizable look. 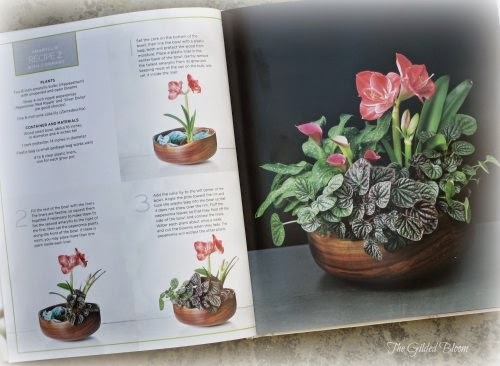 An amaryllis lives happily alongside calla lilies and peperomias in the wooden bowl shown above, while tulips find themselves in a pot of coral bells and ivy in another design. This freedom from tradition imitates nature and inspires readers to experiment with both unconventional plant combinations and unusual vessels. 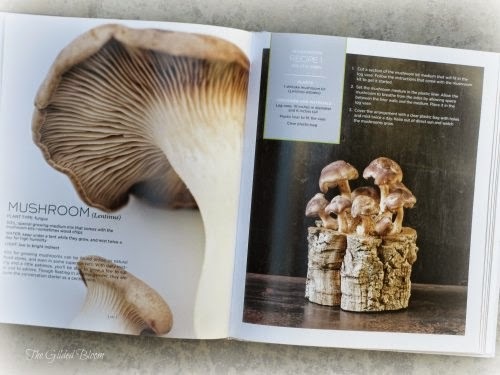 Although there are many arrangements featuring well-known plants like begonias, African violets, and hyacinths in classic pots and vases, some of the more exotic recipes focus on the use of moss, lichen, and even mushrooms to create modern, decorative pieces that blur the boundaries between floral design and art. 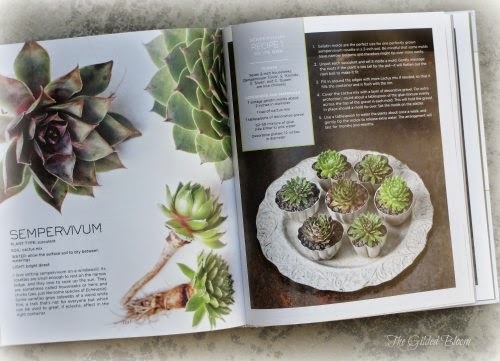 Exquisite combinations of succulents, like those seen in the arrangement on the cover, abound throughout the book, with plants inhabiting unique containers like picture frames and window shutters. Other exotics, such as orchids, are shown in elegant planters like the glass apothecary jar above. This book is a fascinating volume filled with inspiring practical guidance for creating beautiful and lasting living arrangements for the home that provide an alternative to the fleeting nature of cut flowers. I hope you have a wonderful Easter too and look forward to seeing more of your spring florals!